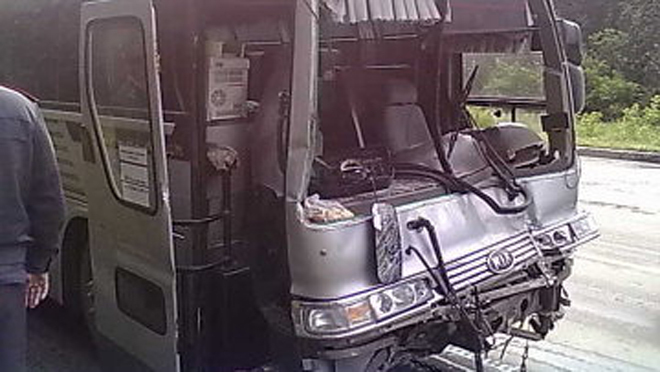 Five people were killed and eleven were heavily injured when the passenger bus Man collided with a Kamaz truck in Kazakhstan's Zhambyl region, Kazinform reported with the reference to region's Deputy Attorney General Halidulla Daueshov. The crash occurred on Almaty-Shymkent highway near the city of Turar Ryskulov on Wednesday night. The bus carrying 45 passengers and two drivers crashed in the KamAZ truck loaded with railroad rails which was standing on the roadside. "Five people were killed. Eleven people were hospitalized and four of them are in the intensive care unit. The rest people were taken to the city of Taraz to get medical assistance," Daueshov said. The information about the killed and injured is being examined. A criminal investigation has been launched on the incident.